Rhode Island has many founders, in keeping with its democratic tradition. While Roger Williams was beginning Providence, others were coming to different places on Narragansett Bay, eager to find their own forms of freedom. One of the most charismatic of these seekers was a woman whose name has become synonymous with the right to speak out against authority, Anne Hutchinson. Already, that helps Rhode Island’s history to look different. Women are often quiet in early American history – but not here. Stories of how states were founded normally revolve around men, for the simple reason that men controlled nearly all of the levers of power in the seventeenth and eighteenth centuries. Heads of households were legally defined as men, and women were excluded from voting or holding office. Men usually went first into a region that was not yet settled, and they then led in the creation of towns and governments. But once again, Rhode Island offers an interesting exception. Anne Hutchinson has become famous to students of early American history for her role in a crisis that rocked Boston in its earliest years. The Antinomian Crisis of 1637-1638 was primarily a disagreement over religion, but it was also a political struggle, and an argument over women and their rights. At a time when Boston was growing quickly, and there were disagreements about what kind of a place it should be, the crisis severely shook the community, and its aftershocks continued for a long time. For many, the crisis ended in 1638, when Anne Hutchinson was banished, but that was the beginning of another important chapter in her life. One of the aftershocks was the settlement of Portsmouth, Rhode Island, an important step in the early history of a colony that was still coming together. So it is fair to say that she was crucial to the early history of two states – Massachusetts and Rhode Island. After John Cotton emigrated to the new city of Boston, in America, she and her family followed in 1634. She quickly immersed herself in the life of the young colony, helping others, particularly women. Soon she was doing what she had done so naturally in England – speaking her mind, organizing weekly discussion groups, and reaching out to other women (she was a midwife). This did not sit well with Boston’s authorities, who were beginning to clamp down on dissent, and to maintain their authority at a time of rapid growth. They also had religious disagreements, and here Anne’s criticisms were stinging. She felt that Boston’s ministers were not good enough; they preached in a way that was predictable, and uninspiring; she wanted ministers who spoke from the heart, and challenged their listeners. Those criticisms cut deeply in a colony that was founded for religious reasons. Soon, the argument grew, and quickly involved political factions jockeying for position. One of Anne’s supporters, Henry Vane, lost the governorship in 1637, and that weakened her position. Under the new administration (led by John Winthrop), she was put on trial, twice, by civil and then religious authorities. Her trial marked a remarkable moment in the early history of New England, when ideas about freedom of worship – the same issue that was so important to Roger Williams – were up in the air. Anne defended herself ably, often outwitting her inquisitors. But she admitted something that was inadmissible at the time – she felt that her ideas came to her from God, directly – “by an immediate voice.” That gave the authorities more than enough reason to banish her. In other words, she acted as if God was talking to her, and to her alone. Ironically, a direct experience of God was what so many early New Englanders wanted – but to claim it with no help from local ministers was a bit too independent for the authorities. It was as if she was condemning them. So they simply did the opposite, and condemned her. In March 1638, she was ordered to “go out from among them, and trouble the land no more.” It was not a shining moment for early American justice. But the trial was not only about religion and politics; it was also an argument about women, and that is why Anne has fascinated historians for centuries. At a time when women had so few rights, she defended herself bravely and eloquently in her trial. The trial was unfair in many ways – she was never told clearly what the charges were. But she showed remarkable spirit and intelligence throughout the questioning. In a way, that was in itself a rebuttal of one of the underlying charges – that women were not entitled to form their own opinions. Anne showed clearly that she could think for herself. Her followers called her “the Nonsuch,” or Nonesuch. After Anne was banished, she found her way to Narragansett Bay, already becoming a haven for those who needed to leave Massachusetts quickly. She and her husband, with perhaps 18 others, established a small settlement on the northern edge of Aquidneck Island, in what is now Portsmouth. This was another important moment in the founding of Rhode Island. It was a different kind of founding – a little later, and a little further South than Roger’s settlement at Providence. But it was a new beginning all the same, and Newport would soon flow out of this small settlement at Portsmouth. It was not yet clear what “Rhode Island” was – there was hardly any government at all, only a few small settlements around the Bay. But it was far more tolerant than Massachusetts, and here Anne found like-minded thinkers, including people who would ultimately go in Quaker and Baptist directions, but were still working out the details. There are some writings that suggest they were friendly – later, he wrote that they were “familiarly acquainted,” and that he had “much good” to say about her. He also defended her in letters to John Winthrop. Anne and Roger were connected in other ways too. Anne’s sister, Catherine Marbury, married Richard Scott, and they became long-time neighbors of Roger’s in Providence. As Catharine Scott, she became a defender of the Quakers, and when members of this sect were punished or executed at Boston in the late 1650s, it awakened many of the old wounds of the 1630s. Roger and Anne were far from identical. He was closer to the Native Americans, and more willing to stay permanently in his new home. Anne, restless, stayed a few years on Aquidneck Island, but after her husband died in 1642, she kept moving – perhaps because she was worried that Massachusetts might take over Rhode Island. In 1643, she moved near New York, where she became vulnerable again, for different reasons. When a conflict erupted between the Dutch and local natives, she and many of her children were killed in a native attack in August of that year. But her influence has lingered across the centuries, in remarkably resilient ways. Women could not be suppressed as easily as the Boston authorities wished to, and throughout New England history, they spoke to power over and over again, brilliantly. Rhode Island has an especially proud tradition in this regard, because so many of its dissenting religious traditions (Quakers especially) permitted women to speak in church. But “permitted” implies that permission was granted – it is more accurate to say that extraordinary women simply stood up and seized permission for themselves. That was the proper way to honor Anne Hutchinson. She lives on in other ways, too. The character of Hester Prynne, in Nathaniel Hawthorne’s The Scarlet Letter, was likely inspired by her. In Boston, there are now statues of strong women on the lawn of the Massachusetts State House, centuries after the rough treatment Anne received there. But one of the most impressive monuments of all is the state of Rhode Island, which she helped to found, along fairer and more democratic lines. Every time a young Rhode Islander speaks his or her mind; it honors the example of a great founding mother. Ted Widmer grew up in Rhode Island. He is the Director of the John W. Kluge Center at the Library of Congress, and a Senior Fellow of the Watson Institute at Brown University. He has written or edited many works of history, including The New York Times Disunion: A History of the Civil War; Listening In: The Secret White House Tape Recordings of John F. Kennedy, Ark of the Liberties: America and the World, and Brown: The History of an Idea. 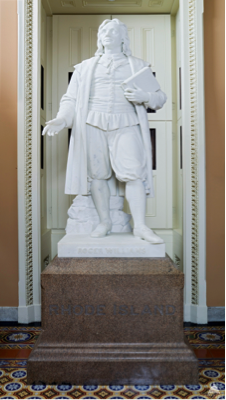 Roger Williams will always be linked to the city he founded, and many of the statues and memorials built to remember him are in Providence. But he is also the founder of a state, and fittingly, he visited many other places in Rhode Island during his long life, including the East Bay, Prudence Island (which he purchased), and Newport. One place was especially meaningful to him, and he went there over and over again. It may be the best place of all to experience Roger Williams, and to see the world through his eyes. Secluded and quiet, it was nothing like Providence. Ironically, its distance from his crowded home town may have been the reason he was drawn to it. Where was this un-Providence? On the West Bay, above Wickford, there is charming cove, with an uninhabited island, and a protected spot for a home site. 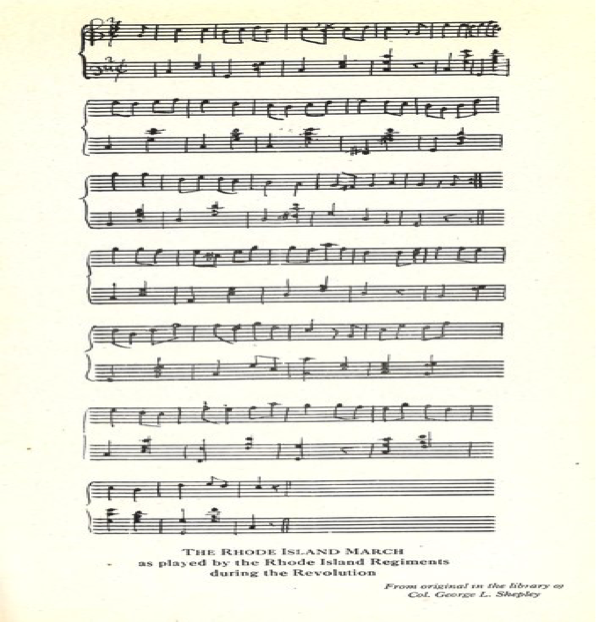 “Cocumscussoc,” as it was called in Roger’s day, still feels much as it did back then, with migratory birds enjoying a respite from the more crowded waters of Narragansett Bay, and a quality of calm that must have appealed to Roger when he needed to escape the sharp opinions of his fellow Rhode Islanders. A very old house stands nearby, facing the cove. “Smith’s Castle,” as it is known, is a roomy wooden structure, dating from the 17th century. Though very old (circa 1678), it is not the first house on the site. An early settler, Richard Smith, built an even earlier house – and Roger almost certainly lived here before he did. Anyone who visits today can see why this was such an attractive location. The protected cove was safe from Narragansett Bay, with its rougher weather. The presence of small creeks offered a good supply of fresh water, and would have helped with growing a garden. It was accessible by land or water from Providence. After Roger established Providence in 1636, he began to visit Cocumscussoc with more regularity. He met with his Native American friends here, and began to conduct business, exchanging goods. Historians still call it “the trading post,” although it is not entirely clear what kind of structure Roger occupied here. Was it a house? Or a kind of simple structure with room for goods to sell? Or perhaps a structure more familiar to the Narragansett, a longhouse or a smaller wigwam? Roger rowed a Narragansett canoe; might he also have built a Narragansett home for himself, in the heart of the Narragansett lands? The third chapter of his Key into the Language of America is all about “sleep and lodging;” it reflects a deep familiarity with the Narragansett home (Wêtu), and how to find comfort within. We can assume that Roger’s trading post was not as large as Smith’s Castle. It would not be in Roger’s nature to even use a word like “castle.” But Cocumscussoc was a very important place for the infant colony. Here a great deal of diplomacy happened, in addition to commerce. The Narragansett came to spend time with Roger and discuss recent developments, in much the way that old-fashioned shop owners still like to exchange gossip with customers. They also were able to purchase English items of great utility, particularly those made of metal: pans, knives, pots, shovels, needles, and other tools. The English, on the other hand, could purchase food and clothing made from animal skins, helpful in the cold winters that they were struggling to survive. They also could send valuable items (like beaver fur) back to England, to make a profit. The Narragansett were skilled at catching beaver, otter and muskrat, deep in the interior, and this was a lively trade that brought benefits to each side. One historian called Cocumscussoc the ancient “mart of trade” of the Narragansett, as if it were an early version of the Ocean State Job Lot. It was far simpler than that; but on the days that the Narragansett came to visit, it must have felt busy. Through these commercial interactions, the various peoples living alongside Narragansett Bay deepened their trust of each other. The trading post was a kind of neutral zone for free trade, not unlike the Duty-Free section of an airport today, where people could spend a little time shopping before returning to their homes. Roger may have been a man of God, but he was evidently a good businessman as well, and that too helped Rhode Island. We should not forget that he had grown up in a busy part of London, the son of a “merchant tailor,” and he brought that knowledge, with everything else, to Narragansett Bay. It is also important to give the Narragansett their due. They were skilled at business too, and throughout A Key into the Language of America, Roger comments with admiration on their commercial intelligence, with chapters on trade, on coins, on debts, and many sections that involve mathematical counting. Throughout the northeast, the Narragansett were known for their skill at making wampum – money – out of seashells. The fact that Roger was allowed to conduct so much business at his trading post was a tribute to them as well as to him. If we look carefully, we can also see a third people at Cocumscussoc, barely visible in the margins of the story, but there all the same. The Dutch living in New Amsterdam – today’s New York – were frequent visitors as well. New Amsterdam was not so distant. Roger’s neighbor, Richard Smith, had lived there; his daughter married the son of a Dutchman named Lodowick Op Dyck, later Anglicized to Updike. The Dutch were known for their commercial instincts, and would have enjoyed the lively trading post. In A Key into the Language of America, Roger mentions that he had seen the Narragansett use a Dutch trumpet to send alarms to each other. In 1643, when he sailed to England to begin his long legal battle to defend Rhode Island, he did so in a Dutch vessel (for the obvious reason that he was banned in Boston). In this way, too, the trading post was vital to Rhode Island’s success. In short, Cocumscussoc was one of the most important places in America to him. Here he could clear his thoughts, express himself, and renew his friendship with the Narragansett – particularly with his cherished friend, Canonicus. Two hundred years before Henry David Thoreau went into the woods to write Walden; Roger Williams had already blazed a similar path. But it was more than just Nature that drew him here. Can we not speculate that there was a higher appeal as well? Nearly everything in Roger’s life revolved around his never-ending quest for spiritual fulfillment. Might he not have experienced God here more directly than in the crowded and argumentative place he had named – almost blasphemously – after Providence? When war finally came, almost two decades later, it was swift and brutal. King Philip’s War destroyed all of the friendships Roger had worked so hard to build. It must have been especially painful to see so many English troops use Cocumscussoc as a staging area for their invasion of the Narragansett Country. In December 1675, a thousand soldiers came here from Massachusetts Bay, Plymouth and Connecticut, before massacring the main Narragansett encampment, twelve miles away, in the Great Swamp. The Narragansett retaliated with violence of their own, and burned down the original house Richard Smith had built at Cocumscussoc. His son soon built another version, the building that now stands sentry here, watching over a quiet horizon that conceals most of this darker history. After King Philip’s War, there was little need for a trading post. Instead, the once busy cove became a sleepy place, hidden from view, like so many quiet inlets of Narragansett Bay. But unlike the others, this one had been essential to Rhode Island’s founder, and to the colony that he succeeded in establishing, against all odds. By coming here, he introduced himself to others; in doing so, he may have found himself as well. Without any likeness of Roger Williams to look at, artists in later centuries had to be creative – and as noted elsewhere, they imagined him looking like completely different people. Sometimes tall and thin; other times, shorter and stockier. On some occasions he had a moustache; most of the time he did not. The scene that most of these artists liked to imagine him in was the moment he crossed the Seekonk River in the spring of 1636 – the moment we celebrate to this day as the founding of Providence, and by extension, of Rhode Island. With the passage of time, we can see why that moment attracted the artists – a city and state were coming into existence, although that was not clearly known at the time. It is fair to assume that Roger knew little more than that he had to vacate his earlier site at the request of the Governor of Plymouth, who considered that land to belong to them. But that moment also presents its challenges to those of us seeking to understand the past. We do not know the exact day he made the trip, and we do not know with certainty who accompanied him on the short distance from one side of the Seekonk to the other. The famous greeting he received (“What Cheer, Netop”) also may be a later invention; it is reasonable to assume that Roger already knew the natives on both sides of the Seekonk, from his time there in the earlier spring of 1636. These are the kinds of questions that historians like to ask themselves. Unfortunately, we often have more questions than answers. Another question the artists had to address related to the boat Roger was in as he made the crossing. 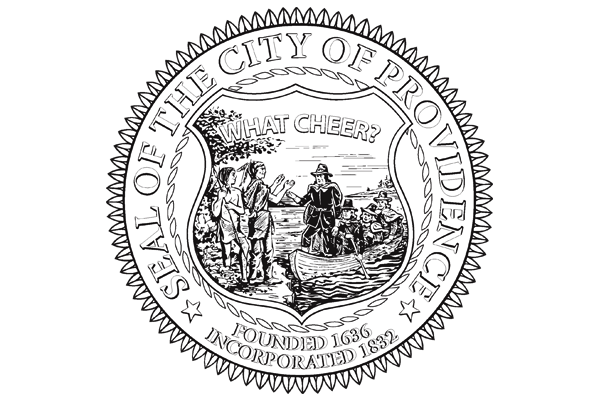 In nearly every instance, they placed him in a canoe – that is how we see him in the seal of the city of Providence. But how do we know he rowed a canoe? Could it have been another kind of boat, more English? Would he have rowed himself? We know that he rowed himself all around Narragansett Bay – famously, he rowed all the way to Newport in 1672 to debate the Quakers. Would he not have rowed the short way across the Seekonk, much the same as the college athletes who row crew on the Seekonk throughout the spring? Most of the images, however, show him in a grander position – as someone standing in the boat, while others row. This is more befitting the founder of a state. But is not reasonable to assume he would have taken a more active role in the first challenge of founding Rhode Island – namely, getting there? Still, the choice of a canoe is fitting for a founder who enjoyed good relations with the native Americans – and whose right to settle in what is now Providence depended on their blessing. 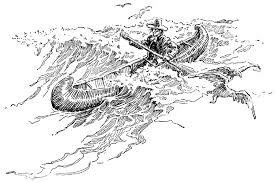 Canoes were an important indigenous water craft, and Roger would have been familiar with them from his earlier experiences around Narragansett Bay. Canoes came in an impressive variety of shapes and sizes – some were large and could carry dozens of men – they were nearly naval vessels and useful in raids. Others were much smaller and nimbler – the vessels of individuals or small families. To the native people, canoes were an essential means of transportation, built painstakingly from the available tools – wood, bark, and animal hides. 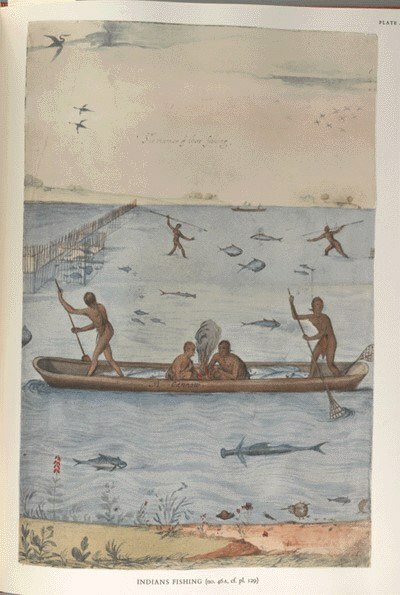 As Europeans began to encounter the natives, they were struck by their versatility on the water. Canoes can be seen deftly navigating between the islands of Narragansett Bay in the first view of Rhode Island, a map that was printed in 1548, stemming from the explorations of Verrazano in 1524. In his own writing, Roger often noted the importance of canoes. When he described the Narragansett language in his Key into the Language of America, he included a rich variety of phrases to describe different kinds of canoes and small boats, made from various types of wood, including pine, chestnut and oak. As he noted in his chapter “Of the Sea,” “some of them will not well carry above three or four, but some of them twenty, thirty, forty men.” Roger also described the native skill at building boats, noting that he had often seen a native go into the woods with little more than a hatchet and some corn, and come out ten or twelve days later with a little boat that he had made. Roger also described his own happiness traveling around the Bay by canoe, which was an important way for him to get to know the land, water, and people he lived near. In a letter he wrote in 1638 to John Winthrop, he described the “lusty canoe” he used to go around the Bay, traveling up to twenty miles at a time. In addition to all of his other accomplishments as a writer and thinker, Roger was an athletic young man when he came to Providence, and those qualities must have helped him in his early negotiations. Recent scholars have begun to do innovative work around these subjects, pointing out that natives were as comfortable on the water as they were on land. Two books in particular, by Christopher Pastore (Between Land and Sea: The Atlantic Coast and the Transformation of New England )and Andrew Lipman (The Saltwater Frontier: Indians and the Contest for the American Coast), go into detail about what the Bay, the rivers, and the Atlantic Ocean meant to the natives. Local museums have also worked hard to preserve old canoes, which speak eloquently by themselves of what these craft mean to a people who needed them for everything from food to travel to war. Elaborately decorated, exquisitely built, they were objects of great beauty as well as practicality. At the Tomaquag Museum, two canoes can be seen, suspended from the ceiling. Loren Spears of the Tomaquag Museum, before a birch bark canoe. Photo Courtesy of Tomaqaug Museum. 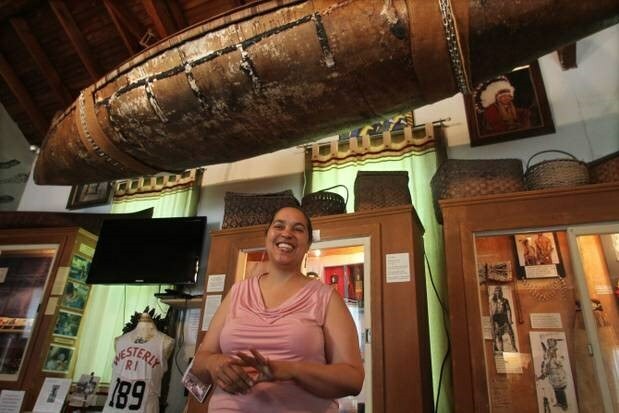 In Connecticut, the Mashantucket Pequot Museum and Research Center has also done pioneering work on the canoe, including recent attempts to build canoes in the traditional way. Details can be found on their website. In other ways, too, we can try to hear the native peoples speaking, just as Roger did. 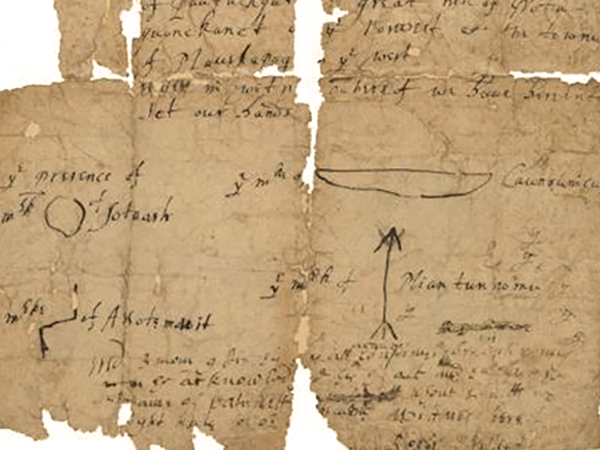 In the old treaty documents, which the sachems signed with drawings to represent themselves, some of the images used resemble canoes (although they also resemble bow-and-arrows). To the end of his life, traveling by water was important to Roger. To protect his colony, he needed to constantly negotiate with the Narragansett, Wampanoag, and the growing array of English settling around the Bay. It is small wonder that he likened his community to a boat when he tried to describe describe the ideal of "liberty of conscience." in a letter to the town of Providence. After all, he had come by water in 1636, and water would remain eternally relevant to the Ocean State. 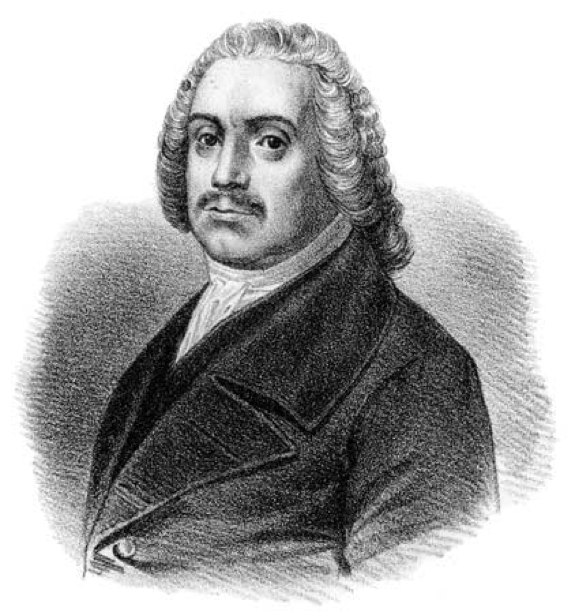 Roger Williams knew that it was not enough to create a colony of free-thinking individuals – for Rhode Islanders to survive, they needed to work together for the common good. Despite his own resistance to authority earlier in his life, he was able to articulate a compelling vision of community and to persuade others to work toward it. With a pragmatic approach and a willingness to set an example, he converted his imagined ideal into a working reality. Roger was a legendary defender of individual freedoms and human rights, but he was no less committed to the idea that we depend on each other. Community was as important to him as his own personal well-being. After coming to Rhode Island, he might easily have tried to buy land for himself, to protect his privacy or make a profit, the way so many others did. Or he might simply have declared new rules of religion and government, to ensure that his new colony would only attract others just like him. But Roger also discovered that Rhode Island had a common good too, larger than that of Providence. When others were banished from Boston, Roger helped them to buy their own land from the Natives and build new settlements like Portsmouth and Newport. That would turn out to be helpful to him – when Rhode Island received its charter from King Charles II in 1663, it was the result of years of hard work by leaders from both Newport and Providence, working together. To define the common good, Rhode Islanders developed forms of local government, which they called “democracy” even before the other colonies were using that term. Although democracy was a constant challenge, over time the different towns of Rhode Island eventually cooperated with each other and accepted that they were stronger together than apart. Inside Providence, Roger’s home town, democracy could be difficult as well – he wrote several letters to his town asking them to join together as a single, healthy community, which he compared to a “ship of state.” That term is still used often by presidents to define our country and the responsibilities we all owe to each other. Roger didn’t personally approve of or agree with everyone who came to live in Rhode Island. But he understood that he could never get his way entirely, and that all of the different kinds of people here contributed in their own way to the common good. Williams dared to imagine concepts that did not yet exist. When he arrived here, Rhode Island was a brand new idea, resisted by neighboring colonies and not yet approved by England. With patience and perseverance, he was able to translate his vision into reality. No other American state owes its origin so completely to one person inventing a new community from the ground up. Why is there a place called Rhode Island? When Roger came to his new home, “Rhode Island” did not yet exist. Its creation was a remarkable act of imagination. Not only did Roger Williams survive his banishments, he succeeded in willing into existence a new place, with a new name. In fact, new names were very much necessary to help the colony come into existence. Roger did not know that he was going to “Rhode Island” when he began to walk toward Narragansett Bay. The lands around Narragansett Bay were known to the English, but they belonged to the Native Americans, a point that Roger had made clear in his earlier writings. 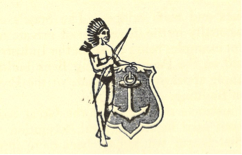 Through his friendship with the two Native tribes who lived on the eastern and western sides of Narragansett Bay, the Wampanoag and Narragansett, Roger was able to purchase several parcels of land, including the area around Providence, Aquidneck Island and Prudence Island. When other settlers left Boston to worship more freely, Roger helped them to settle here. Why Rhode Island? That question is not easy to answer. 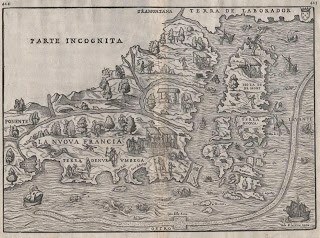 As early as 1524, the Italian explorer Verrazzano had noted, in his first visit to Narragansett Bay, an island “in the form of a triangle, distant from the mainland ten leagues, about the bigness of the Island of Rhodes.” Rhodes is an island in the Mediterranean, off Turkey, that belongs to Greece. But to add to the confusion, Rhodes is not especially “in the form of a triangle.” Block Island, however is. Could it be that Verrazzano was referring to Block Island? The shape of Rhodes is more like the shape of Aquidneck, but the words Verrazano used sound like they describe Block Island. If we can call Verrazano’s use of “Rhodes” as the first time the future state’s name was used, then it is plausible to argue that Rhode Island is the second oldest state name after Florida. The word “Narragansett” was often used as well to describe the region – for a long time, South County was called “the Narragansett Country.” Most of the East Bay then belonged to the Plymouth colony. It was not part of Rhode Island at all. Those who wished to insult Rhode Island – and there were many – called it “Rogue’s Island.” But having a name, even if people made fun of it, was better than no name at all. From these modest beginnings, Roger began to see this region as something more than a cluster of settlements – as a real community. It was clear that this was NOT Massachusetts, but it was not yet clear, in the early years, what it was. Could Rhode Island become a new colony? 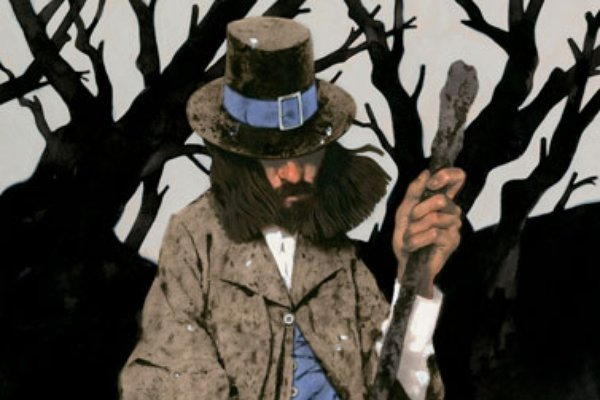 The need to define it only deepened as other settlers from Massachusetts began to cause problems for him, sometimes declaring their allegiance to the government in Boston. 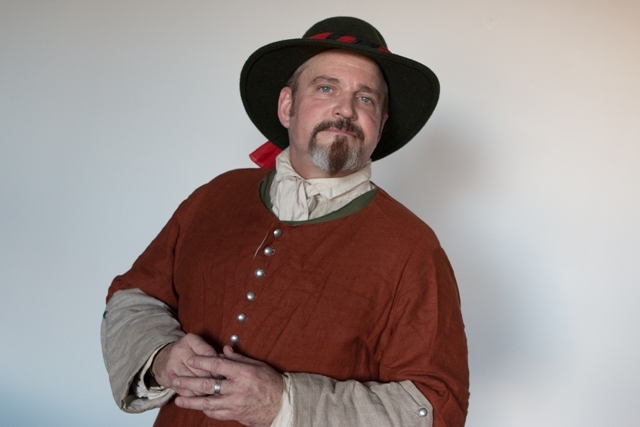 In 1643, Roger went to England to defend his community and give it a better legal definition. The “patent” that he secured from England’s Parliament did just that, explaining that “the Providence Plantations” was a real place. 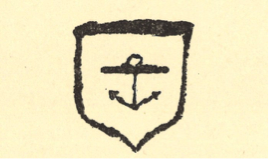 In other ways, too, Roger and his neighbors began to imagine their new community – they designed official symbols of Rhode Island, such as the anchor, which is still a part of the state flag. These acts of creativity were important. They also kept official records, and they acted as if they were something more than just random settlements of people who happened to live near each other. Still, a stronger document was needed, especially since England’s government was changing during the English Civil War. Roger went back to England in the 1650s to get more legal recognition, in partnership with John Clarke of Newport. Finally, they succeeded. 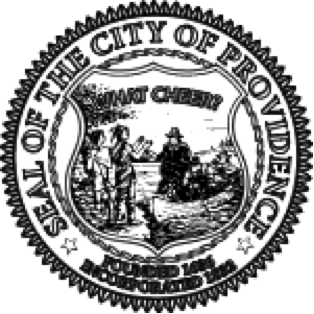 In 1663, King Charles II of England gave to “Rhode Island and Providence Plantations” a magnificent charter, signed by the King, that declared Rhode Island a colony, explained its boundaries, and announced that it was a place where all were free to worship according to their conscience. Because of its commitment to that principle, and because of its founder’s hard work and imagination, “Rhode Island” became a real name, and a real place. Having been banished from Massachusetts Bay, Roger Williams turned his new community into a model of respect for other beliefs, accepting those with whom he did not agree, in religious and political matters, as long as they were good citizens and worked for the good of the colony. In addition to founding a place, Roger Williams helped to lay the groundwork for a great principle. For that reason, his legacy matters to people who will never come anywhere near to Rhode Island. Freedom of conscience – sometimes called “freedom of worship” or “religious freedom” – means simply the freedom to worship in one’s own way, including the right not to worship. It could also be simplified to a single word – tolerance – except that word implies one group, in power, tolerating another. Given how loose the original authority was in Rhode Island, and how much depended on the support given by Native Americans, it is perhaps more accurate to simple focus on the freedom. Before the founding of Rhode Island, religion had been a tremendously divisive force, separating nations and groups within nations. One of the keenest insights of Roger Williams was that “a wall of separation” could be built between religion and government. The separation of church and state has become a bedrock idea of the United States, enshrined in the first amendment to the Constitution and accepted by billions around the world as a reasonable arrangement that endangers neither religion nor government. For most of recorded history, it had not been so. Before 1636, nearly every government on earth assumed responsibility for spiritual as well as political concerns. Even the Puritans who founded Massachusetts aspired to fuse them. Although they bitterly resented the way they had been persecuted by religious authorities in England, they never thought to dissolve the connection between church and state, they simply hoped to do it in their own way. Roger Williams was different. From the moment of his arrival, he raised troubling questions about the new “Bible Commonwealth,” as Massachusetts liked to think of itself, and the way it merged civic and religious authority. He disliked specific beliefs and practices – for example, taking land from Native Americans, refusing to separate from the Church of England, or holding on to rituals inherited from the Church of England. When he was forced from his, Roger took care to build a stronger architecture of free thinking at Providence. There, people were far freer to worship according to their consciences. Even the groups that Roger Williams found disagreeable – Quakers, for example – were permitted to stay in Rhode Island. By the end of the 17th century, Jews were living in Newport, proving that even non-Christians were welcome in a colony that was noticeably different from its neighbors. That freedom has never stopped setting an example. Although we cannot say with certainty that Rhode Island affected the thinking of the founders at the time of the Constitution, it did furnish an example of a colony that had survived and even prospered without an established religion. As the United States grew into a world power, this particular freedom (which was not historically supported by the British) grew to be recognized and practiced around the world -- not everywhere, and not with perfect consistency, but often enough to be recognized as a fundamental human right. But despite these high-minded principles, religious differences still cause complications for millions of people around the world. We should never minimize how difficult this simple freedom can be. In some countries, it is illegal to worship in a way that is different from the official religion of the state. In other countries, like North Korea, it is illegal to practice religion at all. Even in highly-developed parts of the world, differences can quickly flare up over religious forms of clothing, or public displays of religious symbols on state-owned property. Rhode Island has seen many such controversies, including well-publicized situations involving Christmas trees at the State House and around the state’s cities and towns. Some of these cases have gone to the highest levels of the judicial system. In 1984, in the case of Lynch vs. Donnelly, the Supreme Court ruled narrowly (5-4) that a display of Christmas imagery by the city of Pawtucket did not constitute a violation of the separation of church and state. In 2012, in Ahlquist vs. Cranston, the U.S. District Court for Rhode Island ruled that a “School Prayer” banner in Cranston West High School did constitute a violation of the separation of church and state. In other words, Rhode Island continues to be a place where people think hard about these important issues, argue about them, resolve them, and then move on. That seems to be much in keeping with the spirit of Roger Williams. What Did Roger Williams Look Like? 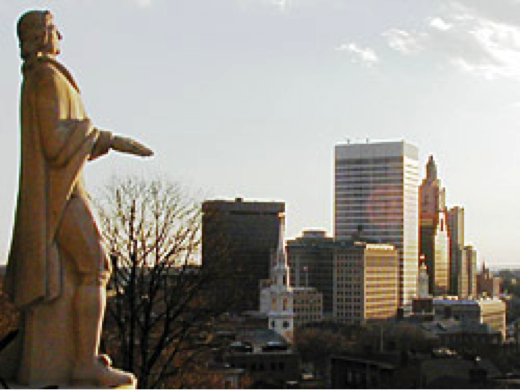 Anyone growing up in Rhode Island probably feels that he or she has seen Roger Williams on many occasions. You can see him standing over the city, at Prospect Park. If you go to Washington DC, you might see him in the U.S. Capitol, as one of Rhode Island’s two statues. The only problem with all these images is that they are entirely imaginary! We have no idea what Roger Williams looked like. If he was ever depicted in his lifetime, we have no record of it. All of the statues, paintings and drawings of Roger Williams, ever since, have been completely made up. Over the years, this has led to some confusion. What are we to make of all these different versions of Roger Williams? Which one is the most accurate? Unfortunately, we have no way of knowing. That does not sound like someone who liked long hair. So we should be careful not to judge too quickly. 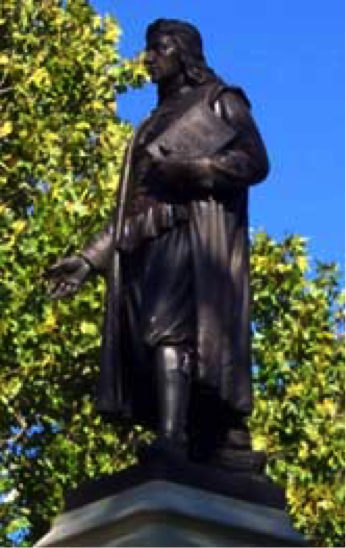 Simply because most of the statues have long hair does not mean that Roger Williams actually looked that way. Today, Rhode Island has people from all around the world, with many different kinds of features. Perhaps not knowing what Roger looked like is a blessing, because we can imagine him any way we want him to be. History can provide many answers, but not all of them, and this is a case where … we simply don’t know! What do you think Roger Williams looked like? In this essay, I’d like to do something that Roger Williams would likely have enjoyed. I’d like to argue against some of the other essays written for this site, including by me. When Roger’s admirers talk about what made him special, they usually claim that he was a pioneer, and helped to think about the world in new ways. In other words, he was more modern than most of the people around him, and made the world we live in possible. But these kinds of arguments can lead to a temptation to regard Roger Williams a more current thinker than he was. To do so feels right in one sense; it is natural to want to argue that his often lonely path was heroic, and created a model for others. It allows us to feel that Rhode Island’s own path, sometimes lonely, has been similarly heroic. At the same time, it is dangerous, from a historian’s point of view, to put Roger into modern categories – “liberal” or “conservative,” or “secular” or “religious.” They oversimplify him. People have been doing that for a long time, almost as long as the United States has existed. Many early American historians made extravagant claims for him as a thinker who essentially protected free thinking from religion. In other words, what was important about him was that he weakened the hold of religion on governments and people. George Bancroft, who helped build American history into a discipline, wrote that Roger “asserted the great doctrine of intellectual liberty,” and “it became his glory to found a state upon that principle.” In 1894, a distinguished diplomat, Oscar Straus, published a biography of Roger that developed the idea of even further. In the 20th century, other historians like Vernon Louis Parrington and James Ernst called Roger a “free thinker” and argued that he was a precursor to famous skeptics like Benjamin Franklin, Thomas Paine, Thomas Jefferson, and Ralph Waldo Emerson. But to call Roger Williams a “free thinker” or a “liberal” reduces his thinking to something different than what it was, and ignores the intensity of his religious experience. Religion guided nearly everything that he did – his reading, his writing, and his lifelong effort to live up to the Bible’s teachings. The arguments that led him to come to America were largely theological, and the arguments that led to his banishment were largely theological. It is not simple to wade into the intensity of these old arguments. They are difficult to read, and it is hard to wade through page after page of bitter recriminations between Roger and his chief antagonist in Massachusetts, John Cotton. All of the terms of the debate are complex. 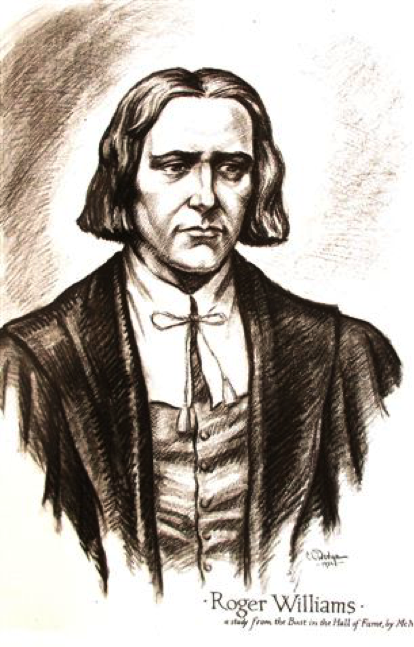 For example, it is fair to ask, was Roger Williams a Calvinist? Surely he read Calvin, and admired his intellectual courage – but in many ways he had moved on from a thinker who had written a century earlier. Was he a Puritan? Surely he was a part of the immense Puritan movement, so integral to the founding of New England. He was swept up in its energy as a young man, and participated in the meetings and intense conversations that led to the founding of Massachusetts – in a sense, he participated in the founding of two states, not just one. But he was also a dissenter from the strands of Puritanism that he found objectionable – particularly the imposition of an orthodoxy, guided by religious and civil authorities working hand in hand. For him, religion was simply too important to be left to the government. He wanted church and state separate, not to keep religion out of government, but to keep government out of religion. A 2015 essay by the eminent historian of early Rhode Island, J. Stanley Lemons, sheds much light on these questions. Lemons argues that the best term to use for Roger’s religious beliefs is a “Witness,” a word he used to describe himself. Some have called him a “Seeker,” a word that fits our modern sense of a restless intellect, eternally searching for new ways to grasp truth. But as Lemons points out, that was a specific religious term in Roger’s lifetime, and one he did not agree with. It is the easiest thing in the world to call Roger Williams a kind of champion of liberalism – a separation of church and state that essentially places religion in the background. But to relegate religion to the background does not do justice to a thinker who thought intensely about religion every day of his life. Is it realistic to say that the ideas of Roger Williams still shape us? If so, how best can we live up that legacy, in ways that are constructive for new times? It goes without saying that Rhode Island has changed in countless ways since his lifetime. He never could have imagined the American Revolution, or the spectacular growth of the United States, or the huge changes wrought in Rhode Island by the Industrial Revolution, the Civil War, the world wars of the 20th century, and the problems we have wrestled with in a new century. If he were to take a canoe across the Seekonk River today, he might recognize parts of the shore – particularly near Blackstone Park and Swan Point Cemetery, where the landscape remains mostly undeveloped. But as soon as he came up the Providence River, and saw a large city spread out before him, he would likely be overwhelmed at how much this place has evolved. Is it fair to say that our lives still affected by someone who has been gone for more than three centuries, whose handwriting we can barely read, and whose face we have never truly seen in all of those imaginary portraits? The fact there is a state called Rhode Island, and that its boundaries are roughly the same as those outlined in the charter documents of the 17th century, has a whole lot to do with Roger Williams. He negotiated the earliest purchases, he helped others to come after him, and he established a vision for this place as a refuge for others seeking to worship according to their individual conscience. Rhode Island may be a small place, but that was a big idea. It certainly was important here in New England. Rhode Island grew into a successful community, no longer threatened by neighbors, able to fend for itself in the world. New England became a more open place because of the “safety valve” Rhode Island offered to those who didn’t fit in to Massachusetts or Connecticut. Although Massachusetts and Rhode Island retained their rivalry in small ways (Roger Williams was not officially forgiven by Massachusetts until 1936), the two states large co-existed happily, especially after they fought together in the American Revolution and Civil War. It could be argued that their differences even strengthened each other, much as Manhattan and Brooklyn have cherished what separates them, even as New York City has grown into a great metropolis, drawing on their combined qualities. Rhode Island’s example was important nationally and internationally as well. The fact that this experiment survived and then flourished without tight religious control served as an important test case before the world. 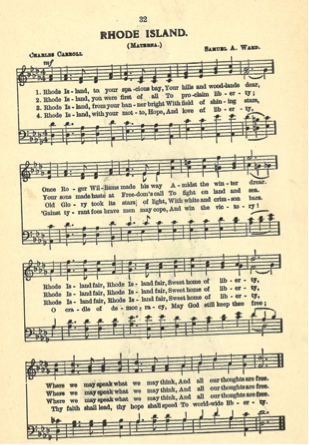 At the time of the American Revolution, freedom from English religious interference became one of the cluster of freedoms Americans fought for, and they coded it into the DNA of the United States when the new country was organized. The famous first amendment to the Constitution protects not only the right to worship, but specifically forbids the government from creating an “established” or state-sponsored religion. Rhode Island also deepened this freedom in another way. When the new president, George Washington, visited Newport in August 1790, he exchanged letters with a leader of the Jewish community there, publicly proclaiming his support for the right of any individual to worship according to his or her conscience. The purpose of this website has been to open up the story of Rhode Island in a way that is accessible to all. Though created with pride in Rhode Island’s achievement, it would not be true to the spirit of Roger Williams if it did not consider all of the evidence, including some that is less celebratory. It is important to acknowledge that there were many imperfections in Rhode Island’s story. Not everyone could live up to Roger’s vision, including sometimes Roger himself. As documented elsewhere in the site, he participated in the sale of Native American captives into slavery after King Philip’s War, and despite his own efforts to build strong relationships with the indigenous peoples he found here, it would be difficult to argue that life became better for Native Americans (or later, enslaved African Americans) because of the creation of Rhode Island. In later years, as well, Rhode Island struggled to live up to its own standards. Religious intolerance was as present in this state as in others, especially as large numbers of foreign-born workers came to Rhode Island during the Industrial Revolution. It is of course impossible to know what Roger Williams would have thought of all of these developments. But it is encouraging to speculate that he would have welcomed Rhode Island’s growing reputation as a place of refuge for so many people from so many foreign places. After all, he spoke many languages, and he traded with the Dutch at Cocumcussoc. And from the beginning, he allowed this place, already known as Refugio on the old maps, to become a haven for others seeking their own form of freedom. The way he founded Rhode Island, as a place open to outside world, has never stopped being relevant. Every century since, Rhode Island has become more diverse. In the early 19th century, as new factories opened, and needed new labor, a wave of new immigration began, that would crest in the late 19th century and early 20th century, but never stop. For much of the 19th century, Rhode Island was the most densely-populated state in the country (it is now second after New Jersey). New citizens came here from Quebec in Canada, from Ireland, from Italy, from Eastern Europe, and from many other places. After the Civil War, recently-freed African-Americans came here as well – not immigrants, technically, but newly-endowed with the full rights of citizenship. Rhode Island remains a place that is enriched by its many ingredients. According to a 2015 article in the Providence Journal, Rhode Island is the most Italian-American state in the country, with 18.4% of its citizens claiming Italian descent. It is the fifth-most Irish state, with 17.9% claiming Irish descent. According to the same article, some parts of Rhode Island are especially strong in ethnic categories – in Tract 148, a part of Cranston near Johnston, nearly half the population is Italian-American. A report issued in August 2016 described in detail the impact of immigrants and immigrant-owned businesses on the local economy. The number and the percentage of Rhode Islanders born in foreign countries has been increasing in recent years. In 2010, the US Census recorded that 12.4% of Rhode Islanders were born abroad, up from 9.5% in 1990. Since 2010, the number has crept upward, with about 7000 new immigrants, bringing the percentage to about 13%. All told, that means that Rhode Island has approximately 140,000 immigrants. Who are they? We do not have to look far to answer that question. They live everywhere in Rhode Island, but especially in the cities, and in Providence above all. They work hard, and make up 15% of the labor force. Many own grocery stores, or restaurants, or small businesses like nail salons. Quite a few work in manufacturing, for local factories. A high percentage of doctors is foreign-born as well. Their taxes support Rhode Island schools, police departments, and fire departments, and they pay into our retirement and health care systems. They also make Rhode Island a more cosmopolitan place. The state is full of charming restaurants that make foreign culinary traditions available. Immigrants bring ideas and words from their home countries as well. According to a recent (September 2013) report from the RI State Data Center, more than 1 in 5 Rhode Islanders (21%) speak a language other than English at home. This is true throughout the state, but especially in Providence County, where it is true of nearly 1 in 3 people, or 29.8%. The top five languages spoken, outside of English, are Spanish, Portuguese, French, Chinese and Khmer (or Cambodian). By translating the words of Roger Williams into these foreign languages, we hope to not only make his thinking available to more, we hope to honor the original open-mindedness of a founder who listened to all of the languages he heard around him. Did Roger Williams affect the future United States? Is he a “founder” of America? That is a natural question – we want our state’s founder to be known outside as well as inside Rhode Island. But it is a difficult question, too. Nearly a hundred years went by between the last year of Roger’s life, 1683, and the Declaration of Independence in 1776. He didn’t know a new country would come into existence here. We should be careful about making him more modern than he was. Still, there were signs that he knew he was doing something very important here. To found a colony is a serious matter; there were only thirteen at the time the United States became a country. He often talked about Rhode Island as a special protector of freedom and as a place where church and state would never interfere with one another. He wrote as if what he was doing here mattered to the world. That may have seemed impossible to Massachusetts, but over time, Roger not only succeeded in Rhode Island, Rhode Island succeeded in America. Despite the fact that Massachusetts was bigger, Rhode Island’s model of religious freedom, or “soul liberty,” was more attractive to the other states. When the Founders wrote out the documents that created a new country, they included many ideas that seemed to be borrowed from Roger Williams – especially the separation of church and state. The first amendment to the US Constitution says clearly, “Congress shall make no law respecting an establishment of religion, or prohibiting the free exercise thereof.” It is one of the best lines in the Constitution – it celebrates freedom FROM religion, freedom OF religion, and freedom FOR religion. It is also true that Rhode Island’s Charter of 1663 was influential in other ways; it helped to secure similar freedoms for other colonies, like the early versions of New Jersey and North Carolina. Yet the evidence is difficult to read. 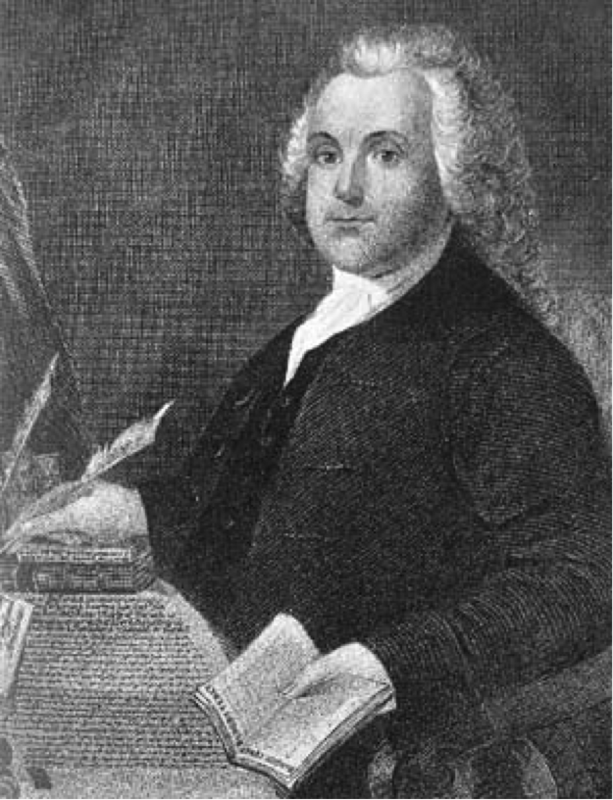 The story of Roger Williams had never been forgotten in Rhode Island, and one of the signers of the Declaration of Independence, Rhode Island’s Stephen Hopkins, was also a historian who had written about Roger Williams. We do know that Jefferson had a copy of Rhode Island’s Charter of 1663 in a book in his personal library. We can assume some familiarity, but it is difficult to prove a direct influence. However, there is one way in which Rhode Island did affect the Founders and the rest of American history. Rhode Island was the last of the original thirteen states to ratify the Constitution, and when it did, George Washington came to Rhode Island to help celebrate. He visited a Jewish synagogue in Newport, Touro Synagogue, which is now the oldest synagogue in America, and wrote a beautiful letter afterwards, thanking the Jewish community here and assuring them that the United States does not tolerate bigotry or religious persecution. That was an appropriate message for a President of the United States to write after a visit to the state founded by Roger Williams. 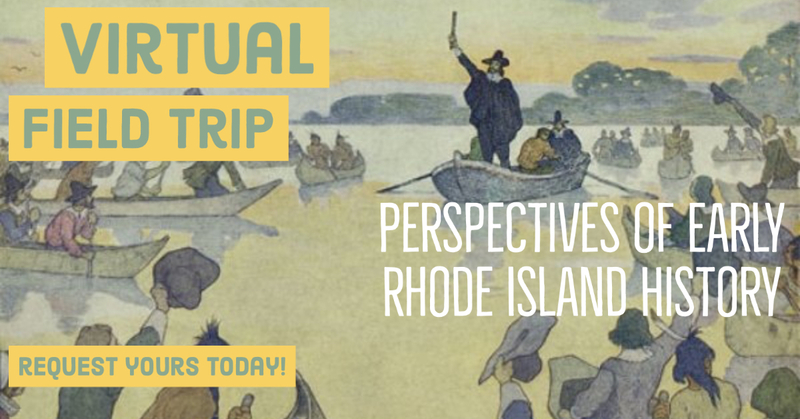 Rhode Island public school teachers can book free field trips (transportation included!) to the Rhode Island State House for programming provided by the Carter Roger Williams Initiative, Rhode Island Secretary of State, Roger Williams National Memorial and the Tomaquag Museum. 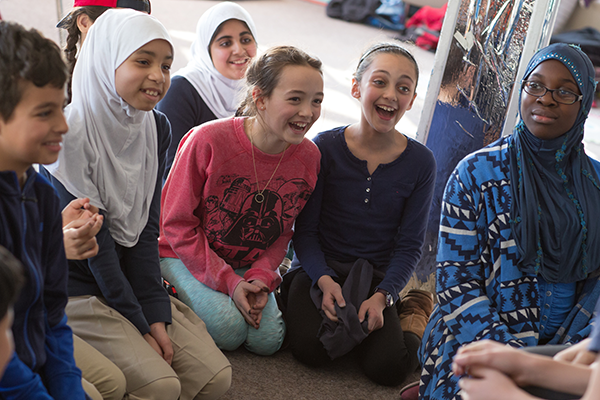 Learn more about funding for field trips, in-class Roger talks, and individualized educational resources for educators provided by the Carter Roger Williams Initiative and Roger Williams National Memorial. 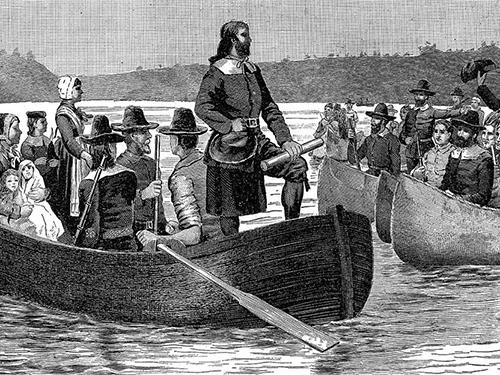 Having been banished from Massachusetts Bay for his religious beliefs, Roger Williams turned his new community into a model of respect for other beliefs, accepting those with whom he did not agree, in religious and political matters, as long as they were good citizens and worked for the good of the colony. Teaching tolerance is more relevant than ever in today’s diverse world in order for freedom and equity to prosper. Read the article on the Smithsonian website adapted from Roger Williams and the Creation of the American Soul, by John M. Barry to understand more about how Roger Williams originated a principle that remains contentious to this day—separation of church and state. Teachers and students: Share your Roger Williams's classroom resources!